Skiing and snowboarding are high-energy, exhilarating sports. But it also has inherent risks. With some of the biggest snowfall we have experienced in California in years, thousands of winter sports lovers are hitting the slopes. Knowing the risks involved in the sports, it’s important to consider ways to decrease your particular chances of injury. According to some studies, there are over 200,000 snow skiing-related injuries treated in hospitals, doctor’s offices, and emergency rooms every year. There were an additional 80,000 injuries associated with snowboarding. Injuries tend to be more common among beginners. A 2009 study from The British Journal of Sports Medicine showed that new ski equipment or old snow also significantly increased injury risk. If you have been sedentary for a while, it’s a good idea to increase your physical condition before hitting the slopes. Cardiovascular exercise in addition to some weight lifting that focuses on lower body strength can help you prepare. When you get to the slopes start on the easier runs before progressing to more challenging parts of the mountain. According to the American Academy of Orthopaedic Surgeons (AAOS), many ski injuries happen at the end of the day when people try to squeeze in one last run. Being fit can help you do that safely. Equipment can include appropriate clothing — layers of light, water- and wind-resistant clothing are best for helping you adjust to your body’s fluctuating body temperature throughout the day. Be sure to have a professional help you buy or rent properly sized, set and adjusted boots and bindings. Be honest about your skiing ability, as well as your weight, to ensure properly adjusted bindings. 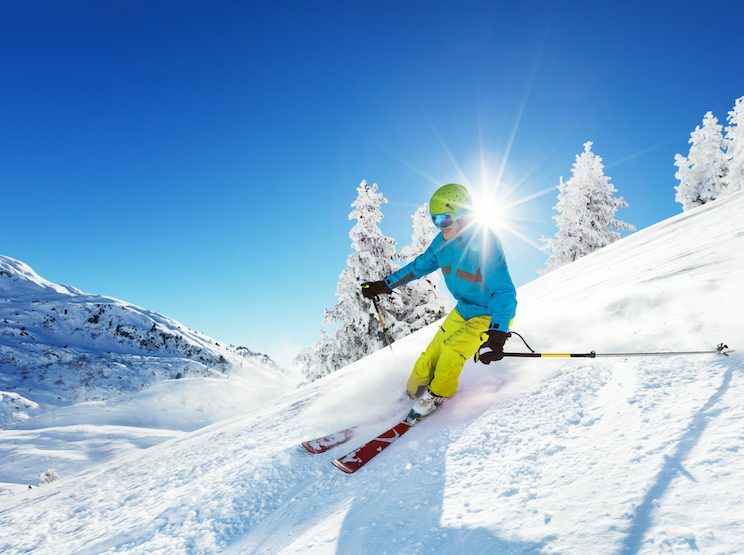 The AAOS recommends using ski helmets (not bike helmets) and protective goggles. If it’s been a while since you’ve hit the slopes — which may be true for many of us in drought-parched California — you may want to take a refresher course. Learning how to fall correctly, how to use the ski lift safely and practicing other safety techniques can be important. Although fast-paced snow sports like skiing and snowboarding can be risky, they are also excellent exercise and fun for the entire family. Following these common sense tips can help ensure a safe time for everyone on the slopes. I had 2 total knee replacements done by Dr. Christopher Cox, on August 23, left and November 28, right. It is now March 15 and I have skied 12 days in the past month. No pain and no problems with the knees. Full stamina is not there yet, so they’ve been short days, but all my skills are still there. I cannot express how delighted I am. Thank you Dr. Cox. Should You Consider Arthroscopic Shoulder Rotator Cuff Surgery?